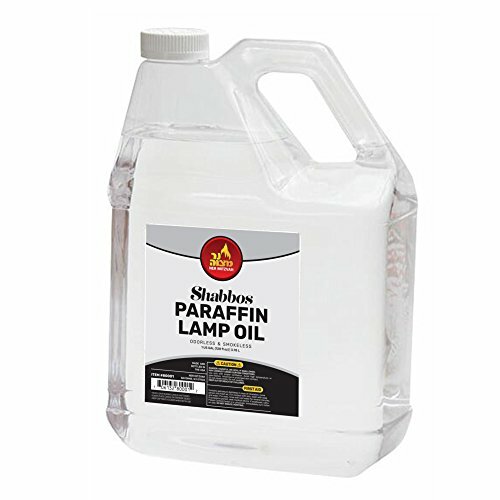 VERSATILE USE While gentle for indoor and home use, Ner Mitzvah's Paraffin Lamp Oil is also powerful for outdoor venues. Light your tiki torches with this oil for outdoor barbecues and pool parties. Create beautiful, glowing centerpieces for weddings and fancy events. Light the pathway to an outdoor wedding canopy with a series of flames fueled by this oil. Illuminate restaurant tables and buffet counters for a romantic touch. Create a relaxing ambiance in your yoga studio or spa. Kindle your Shabbos lights or use for other religious rituals. Keep a bottle of Ner Mitzvah's Paraffin Lamp Oil in store and be prepared for any power outage. 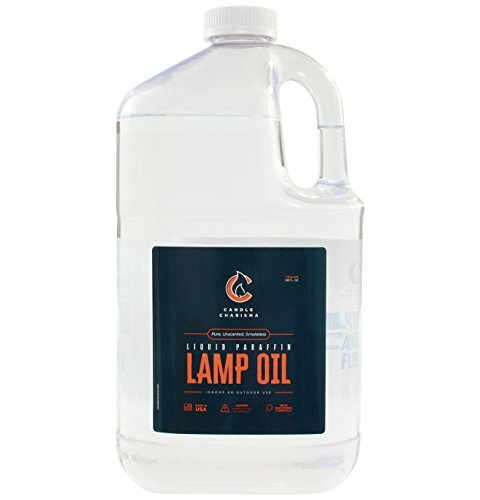 Allowing you to light oil lamps and lanterns, this oil is safer than candles and more cost-effective than battery-powered flashlights. LIGHT UP IN STYLE Ner Mitzvah's Paraffin Lamp Oil comes in an assortment of five different colors so you can customize your glow to suit your taste. Make the lighting part of your decor when hosting a special event. While red and purple evoke a romantic touch, green and blue creating a calming atmosphere. A CLEAN BURN: Our tiki torch fuel is processed and refined to create a powerful light source that is smoke and odor free and without harmful soot or other pollutants often found in kerosene. MULTIPURPOSE USE: Use inside the house on a dining room table, in centerpieces, or for lamps, lanterns, and torch style candlesticks. Perfect for use to kindle Shabbat candles and more. OUTDOOR DECORATIONS: For elegant parties and events, use this fuel to light up tiki torches and other lanterns to light up pathways, stairs and aisles, or to beautify wedding celebrations. EMERGENCY LIGHT: Not only for gardens, patios or yards, use this instead of candles or flashlights during blackouts or power outages. The spout is designed to easily fill cans and canisters. INTENDED USE: It is safe to use with new or old wicks as long as they are made for use in Oil lamps, lantern (fibreglass or cotton lamp oil wicks). Do not use with floating wicks or non-lamp oil/lantern cotton wicks. - Green VERSATILE USE While gentle for indoor and home use, Ner Mitzvah's Paraffin Lamp Oil is also powerful for outdoor venues. Light your tiki torches with this oil for outdoor barbecues and pool parties. Create beautiful, glowing centerpieces for weddings and fancy events. Light the pathway to an outdoor wedding canopy with a series of flames fueled by this oil. Illuminate restaurant tables and buffet counters for a romantic touch. Create a relaxing ambiance in your yoga studio or spa. Kindle your Shabbos lights or use for other religious rituals. Keep a bottle of Ner Mitzvah's Paraffin Lamp Oil in store and be prepared for any power outage. Allowing you to light oil lamps and lanterns, this oil is safer than candles and more cost-effective than battery-powered flashlights. LIGHT UP IN STYLE Ner Mitzvah's Paraffin Lamp Oil comes in an assortment of five different colors so you can customize your glow to suit your taste. Make the lighting part of your decor when hosting a special event. While red and purple evoke a romantic touch, green and blue creating a calming atmosphere. 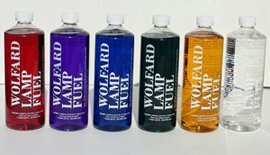 ASSORTED COLORS: Pick one of our five colored lamp oils to customize the look of your flame to match your decor and style. Choose from transparent, green, blue, purple, or red shades. Firefly Simply Pure Paraffin Lamp Oil is odorless and smokeless as the name implies. We sell Firefly Simply Pure all over the world to finicky folks that want the highest performing lamp oil available and we have been able to keep the price reasonable because of the demand. We suggest using the fuel in oil candles, patio and table-top tiki torches, oil lamps and lanterns. Try it plain or purchase with citronella or eucalyptus oil to keep the bugs at bay. I'd like to give you some tips so that you can get the maximum performance from Firefly Liquid Paraffin Lamp Oil. IMPORTANT: You can get even the purist fuel to smoke if you use it improperly. 1) Remove old residual fuel from the fuel reservoir before filling with Firefly Fuel. It doesn't need to dishwasher clean but you certainly don't want to mix fuels together. Mixing fuels will change their burning properties and may cause excessive smoke. 2) Use a clean wick. The wick is the delivery vehicle for the fuel. If the wick is contaminated with old fuel or water, it will not perform properly. 3) The wick should be as low as possible. This will reduce smoke, provide a more consistent flame and conserve fuel. Liquid Paraffin Lamp Oil will solidify at the freezing point of 32 degrees. It will turn to liquid again above 32 degrees without harm to the fuel. Here are other considerations that may be of interest. You can recycle the 16-, 32-, and 128-oz. bottles. All Firefly Fuels use commercial-style bottles with childproof caps and there are NO inactive ingredients, such as colorants, which reduce purity. And, what about potential leakage during shipping? We electronically seal our bottles to prevent leakage and our packaging has been tested and approved by FedEx to ensure the product gets to you in tip-top shape. This is the Cadillac of Paraffin Lamp Oil. Firefly Brand is the best performing we have found - Clear, Odorless & Smokeless - Be sure to read the PRODUCT DESCRIPTION below. We believe in providing as much information as possible so you can make an informed decision. 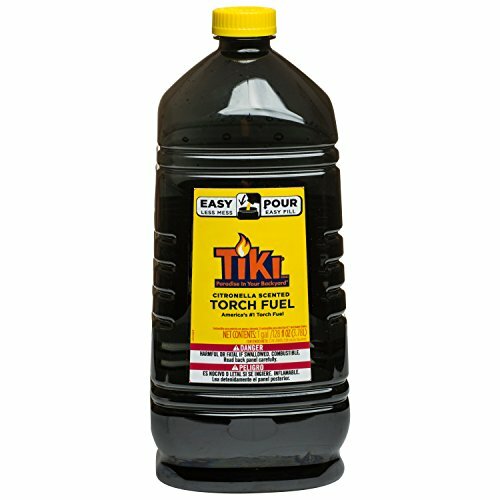 Manufacturers of High-Quality Tiki Torches Recommend Using a Top-Shelf Paraffin Lamp Oil for the Best Performance. Soot is also another consideration. 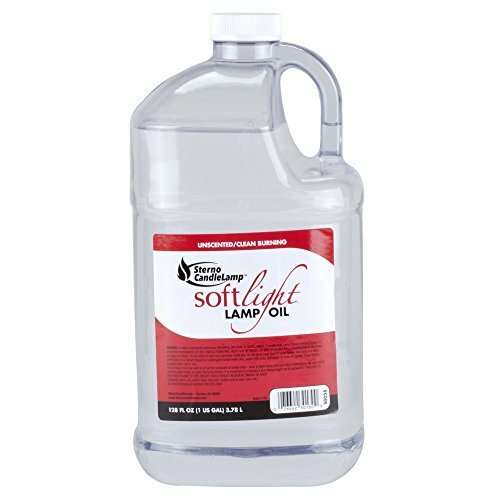 Firefly Brand Paraffin Lamp Oil is as clean burning and sootless as you can get. That's why it is recommended for indoor use. As for Oil Lamps and Lanterns, Firefly Brand Paraffin Lamp Oil is the Perfect Choice if Odorless, Sootless and Smokeless Performance is High on Your List. Be sure to read the PRODUCT DESCRIPTION below for additional information. For Use in Tiki Torches, Oil Lamps, Lanterns & Candles. Indoor and Outdoor Use. Some Tips on How to Achieve the Best Performance - 1) Don't Mix Different Fuels. 2) Use a Clean, Uncontaminated Wick. 3) Keep the Wick Height to a Minimum which Inhibits Smoking and Conserves Fuel. Brand: Firefly | Manufacturer: Firefly Fuel, Inc.
A CLEAN BURN: Our Lamp Oil Paraffin Is Processed And Refined To Create A Powerful Light Source That Is Smoke And Odor-Free And Without Harmful Soot Or Other Pollutants Often Found In Kerosene. EMERGENCY LIGHT: Not Only For Gardens, Patios Or Yards, Use Our Paraffin Lamp Oil Instead Of Candles Or Flashlights During Blackouts Or Power Outages. 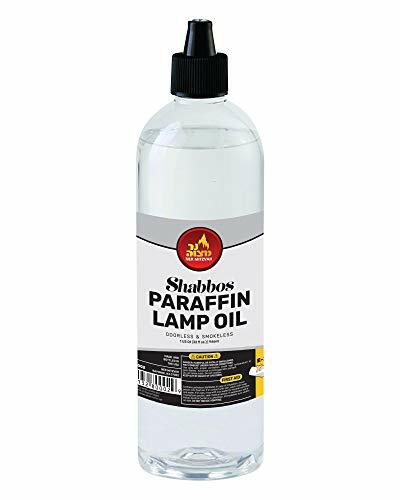 Clean Burning Pure Paraffin Lamp Oil 1 Gallon - MADE IN USA These are a perfect alternative to wax candles and battery-consuming flashlights making this a cheaper option. CLEANEST OIL CANDLE BURNING EXPERIENCE: CANDLE CHARISMA Liquid Oil Wax is a premium blend made out of highly refined liquid waxes to quality way above other lamp oils and fuels. Virtually smokeless and odorless, it will not leave soot and residual odors commonly associated with kerosene based lamp oils. MULTI-PURPOSE USE AND EMERGENCY - These are perfect for lamps, lanterns, torches, shabbat candles, Diwali Lamps, refills, menorah lights and much more. They are also a necessity to have on hand in case of power outages and blackouts. SAFETY CAP - For safety reasons our paraffin lamp oil bottles are designed with a special safety cap. MADE IN USA - We are proud to bring you a product that is made in America! ASSORTED COLORS: Pick one of our five colored lamp oils to customize the look to match your decor and style. Choose from transparent, green, blue, purple, or red shades. IMPORTANT: This Lamp Oil WILL NOT color the flame. Created by designer Jon Wolfard. Brand: Wolfard Glass | Manufacturer: Wolfard Glassblowing Co., Inc. 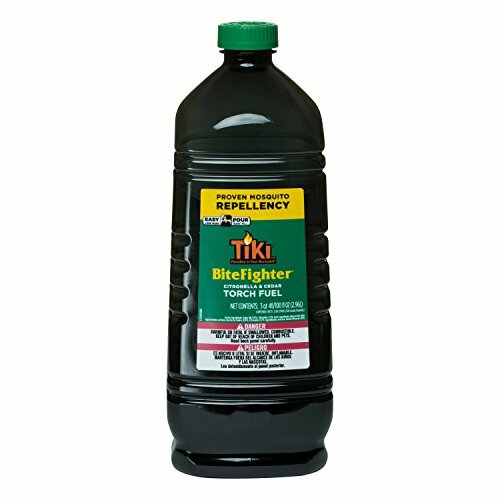 The citronella and cedar formula of TIKI Brand BiteFighter Torch Fuel provides proven mosquito repellency and now comes in an Easy Pour Bottle for fewer spills and less mess. Ideal for use with TIKI Brand Torches and Table Torches, one 64-oz. Easy Pour Bottle can fill five 12-ounce torch fuel canisters. For best results, use with TIKI Brand Wide Mouth Torches for fewer spills and less mess and a cleaner more enjoyable experience. The cylinder is made from clear glass and stands 6 inches tall,and the width or diameter of the cylinder is 4.7 inches along the entire height. Few things are as versatile as a glass cylinder vase.This sleek,elegant style is just as at home as part of a centerpiece for a wedding or any special event as it is on display in your living room or office. This shade can be widely used and have good lighting effect. It's easy to clean up,and the cloth is clean with a light wipe. Wonderful accent piece for coffee tables or side tables. If you need a sleek,versatile cylinder for everyday use,then the 6 * 4.7 cylinder may be just what you're looking for.Perfect for tables at your restaurant or as part of a centerpiece for a special event,the only limit is your imagination. 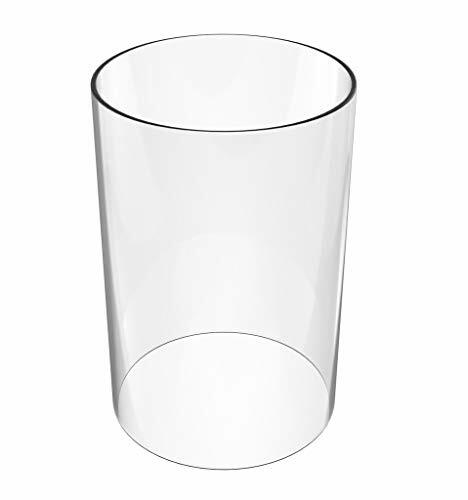 Size--Clear elegant and simple cylinder 4.6",external diameter is 4.7",Height 6". Practical & Convenient--This glass cylinder vase can be widely used and have good lighting effect. Beautiful Centerpiece--Open Flame problem solved with this shades.You can still using the real candles to create the nice ambience of the event. Strong Applicability--Clear Elegant and Simple cylinder,fit most of the popular candle. 100% Money Back Guarantee--If you're not 100% satisfied send it back for a Refund within 60 Days of purchase. Stay outside with friends, but keep away uninvited guests who buzz and bite. Quit dealing with pesky mosquitos intruding on your outdoor party! TIKI Brand bite fighter torch fuel provides Proven Mosquito repellency and helps you create your own backyard paradise. The cedar oil and citronella formula is designed to repel mosquitos while helping you set the mood and add fun, decor and ambiance to your backyard or patio. MOSQUITO REPELLENT TORCH FUEL: Keep away uninvited guests who buzz and bite! The citronella & cedar formula provides proven mosquito repellency & works with all TIKI Brand torches & table torches. Our most popular fuel and the #1 selling torch fuel in America. Keep a bottle handy to keep your favorite TIKI Brand torches burning bright. Looking for a way to add a touch of fun and ambience to your party? TIKI Citronella Scented Torch Fuel is America's #1 Torch Fuel that helps set the mood and add fun, to your backyard, deck or patio. The citronella torch fuel is ideal for use with TIKI torches and TIKI table torches. CITRONELLA SCENTED TORCH FUEL: Keep your favorite torches burning bright! Scented with citronella & lemongrass, America's go-to fuel now comes in an Easy Pour Bottle for an easier fill & less mess. 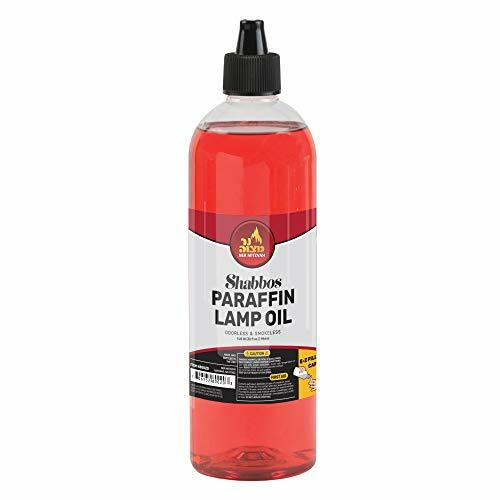 Firefly Simply Pure Paraffin Lamp Oil is the Cadillac of fuel for tiki torches, oil lamps & lanterns, oil candles, wine bottles, and whiskey bottle oil lamps. This fuel can be used indoors and outdoors. Here are other considerations that may be of interest. Our plastic bottles are recylable. All Firefly Fuels use commercial-style bottles with childproof caps and there are NO inactive ingredients, such as colorants, which reduce purity. And, what about leakage during shipping? We electronically seal our bottles to prevent leakage and our packaging has been tested and approved by FedEx to ensure the product gets to you in tip-top shape. 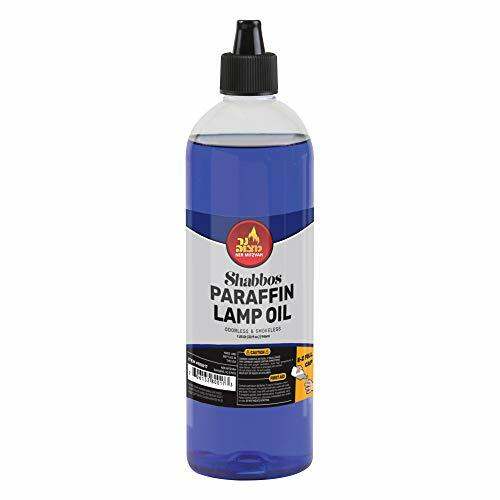 PURIST LIQUID PARAFFIN LAMP OIL AVAILABLE BASED ON INDUSTRY STANDARDS: Clear, Odorless & Smokeless - Be sure to read the PRODUCT DESCRIPTION below. We believe in providing as much information as possible so you can make an informed decision. 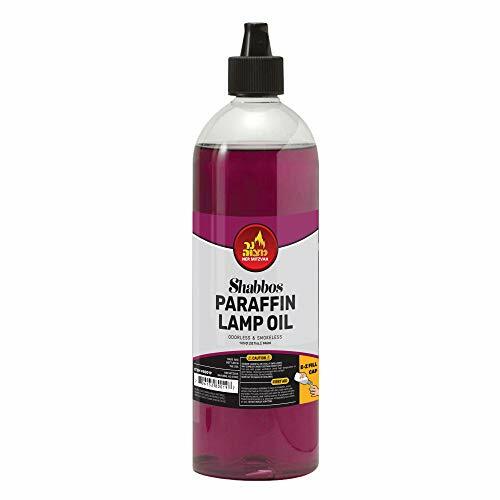 OIL LAMPS & LANTERNS: Firefly Brand Paraffin Lamp Oil is the Perfect Choice if Odorless, Sootless and Smokeless Performance is High on Your List. Be sure to read the PRODUCT DESCRIPTION below for additional information. RECOMMENDED USE: Tiki Torches, Oil Lamps, Lanterns & Candles, Wine Bottles, Whiskey Bottles. Indoor and Outdoor Use. Screw-On Pour Spout Included with Every 32-Ounce Bottle of Firefly Fuel.Screw-On Pour Spout Included with Every 32-Ounce Bottle of Firefly Fuel. IMPORTANT TIPS: To Achieve the Best Performance - 1) Don't Mix Different Fuels. 2) Use a Clean, Uncontaminated Wick. 3) Keep the Wick Height to a Minimum which Inhibits Smoking and Conserves Fuel. Always Use in a Well Ventilated Area and Never Leave Your Candle or Lantern Burning Unattended.